Sep 24, 2015 @ 10:09 AM — by Sharon B. Mateja, D.D.S. When Dr. Sharon B. Mateja meets with patients, she always takes time to consider the needs of the patient and how treatment can be tailored to address those concerns. Taking age and overall health and wellness into account is an important part of effective dental care, and it's what makes Dr. Mateja one of the leading dentists in the Rancho Cucamonga area. Elderly patients in particular have a number of needs that involve advanced restorative dentistry for the teeth and gums. Let's take a moment to consider what kinds of treatments are ideal for elderly patients. Tooth loss is a very common problem for many seniors, which is why solutions for missing teeth are a common part of dentistry for elderly patients. Removable appliances such as dental bridges, partial dentures, and full dentures prove very helpful in many cases. Some patients may want to consider fixed appliances that are held in place by dental implants, which are artificial tooth roots that are surgically placed into the jawbone and gum tissue. Long-term damage caused by advanced tooth decay and years of wear and tear can lead to major problems with the strength of the teeth and their overall structure. Treating these advanced cases of tooth decay and tooth damage will typically involve the use of dental restorations, which may include fillings, inlays, onlays, or crowns. Severe damage or decay may necessitate the extraction of the tooth. Both gum disease and gum recession are common when patients are of an advanced age. When it comes to treating gum recession, soft tissue grafting techniques tend to be the most ideal option. Gum disease, on the other hand, is often treated through the use of antibiotics and antiseptic medications. The long-term wear on the jaw joint can lead to a TMJ disorder, which means the locking, popping, clicking, or impaired movement of the jaw. Whether due to injury, teeth grinding, osteoarthritis, or other causes, there are plenty of treatments to address dysfunctions of the jaw joint. We can go over these in greater detail during your visit to the practice. Dry mouth isn't just an annoyance. Sure, it can make eating, speaking, and other activities more difficult, but it can also be the sign of a serious health issue related to a systemic condition. We have many options for treating dry mouth in elderly patients, ranging from diagnostic screenings to the use of artificial saliva products. The chances of developing oral cancer increase as you get older, with risks significantly higher if a patient was a smoker or used chewing tobacco over the years. As part of elderly dental care, we always screen patients for oral cancers. Early detection and treatment yields the best results for overall health and wellness. Just because you're older doesn't mean the basics no longer apply. As with patients of all ages, routine checkups, cleanings, and dental services are a crucial part of ensuring great dental health for the years ahead. 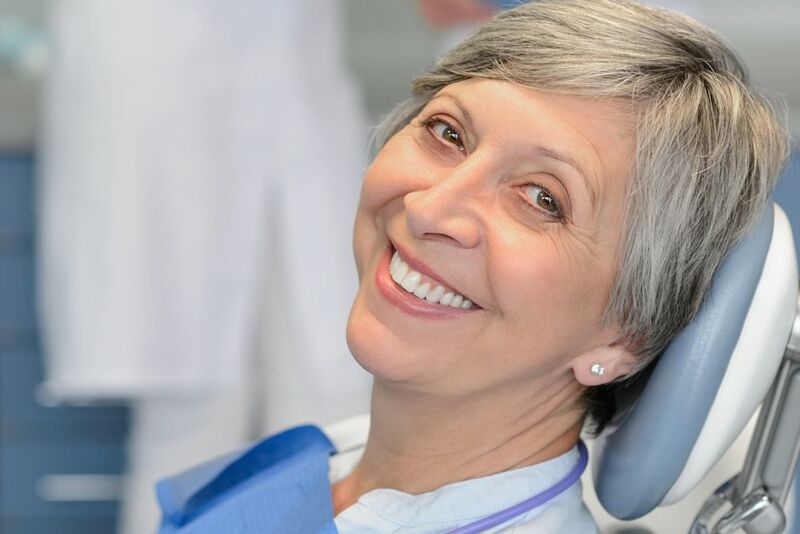 For more information about the treatment options available for elderly patients and how our team can help you have a healthy and beautiful smile, it's important that you contact our cosmetic and restorative dentistry center today. Dr. Sharon B. Mateja and the team at the practice will work with you to help you achieve total wellness during your golden years.